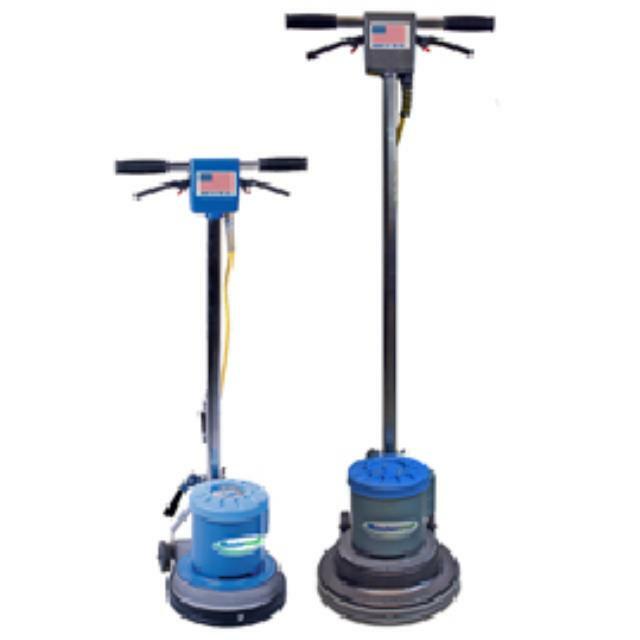 The 13" floor machines are field-tested to withstand the demanding heavy duty use required for stripping, scrubbing and polishing hard surface flooring. 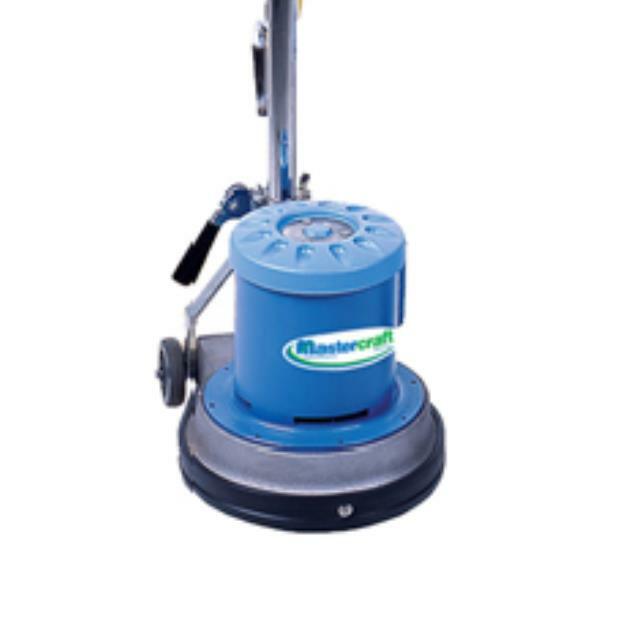 Ideal for use in small and confined areas on hard surface flooring. Our Mastercraft Legendary standard13 floor machines are field tested for heavy duty stripping, scrubbing and polishing hard surface flooring. The simple and rugged design makes them easily accessible with low cost and maintenance requirements. They are built for large areas, yet ideal for use in small and confined areas. Triple Planetary Transmission is lubricated with a specially designed flex coupler to withstand heavy duty workload and protect the motor from damage while under load. Generous oversize handle grips and dual triggers provide left or right hand operation., Features a built in safety lock out to prevent accidental start up. Heavy duty metal adds more strength, rigidity & durability. Also shields the transport wheels from damage. The attached steel clamp lever adjusts the handle position. Set in die cast Aluminum switch box. Won t chip or rust. Protect walls, molding and furniture from damage. /STRIP PAD, 13" Black EA. /POLISH PAD, 13" White EA. /SCRUB PAD, 13" Blue EA. /SCRUB PAD, 13" Tan EA.